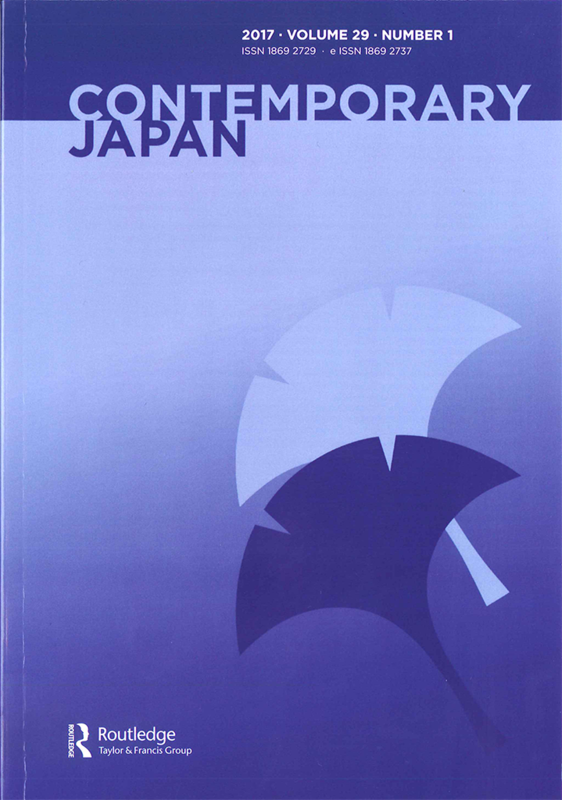 This introductory article to the special issue on ‘Food, agriculture and risk in contemporary Japan’ attempts to set the background to the theme by addressing trends and changes in the global agri-food system. These changes affect issues hinging on food, agriculture and risk in Japan. Against this backdrop, we argue that ‘risk’ is becoming an ever more important analytical category for understanding changes in Japan’s agri-food system given numerous phenomena that are perceived risky or unsafe. Although the contributions in this issue inevitably deal with various types of risks, among them two types of risks stand out in the analysis of the papers: economic risks that concern farmers’ livelihoods and health risk concerns stemming from food safety problems. The contributions shed light on how different actors deal with these risks and point to an interesting twist with regard to the question of agency; they show that consumers and farmers are not all that powerless. This analysis of Japanese organic farmers in their 30s and 40s gains insight from Lyng’s framework of ‘edgework’—a transgression of life/death boundaries by sports practitioners. Young farmers emerged in qualitative fieldwork as ‘occupational edge-workers,’ crisscrossing binaries such as urban/rural, mind/body, and economic/moral. They manage risks and navigate uncertainties of natural forces, traditional village practices, neoliberal pressures to be entrepreneurial in the market, and judgment of older, purer organic farmers. With goals of living in harmony with nature, intimate others, and community, they create lifestyles in marginal rural localities by which they can make selves that are alternative to the neoliberal narrative, yet act as entrepreneurial subjects that risk bringing their version of morality to the market, via delicious, organic food sold to self-creating consumers. Claiming normality and spurning ideas of organic as a movement, their alterity is partial and practical as they exploit the potentials of this risky border zone. Conducted in 2012 and 2014, this research contributes to investigating alternative lifestyles in Japan, exploring the changing nature of alternative food movements in the neoliberal era, and understanding active agency for self and the environment in the neoliberal situation of entrepreneurial subjectivities, edgy self-making, and historical traditions. This paper analyzes the policy process toward farmland consolidation and deregulation in Japan. The current Abe administration has introduced so-called Farmland Banks to facilitate land transfers to expanding farms, including general corporations, which have long been banned from farmland access in Japan. The paper argues that farmland deregulation puts the ‘incumbent’ local stakeholders of farmland governance, such as local agricultural cooperatives, local administrations, and not least farmers themselves, at risk of losing access to state support and influence. At the same time, the responsibilities for coordinating farmland consolidation have been placed onto the same local stakeholders. The state of local farmland governance has long been critical to impeding coordinated consolidation, whereas deregulation facilitates ‘predatory’ corporate farmland use. In contrast, evidence from Hikawa Town in Shimane Prefecture shows how exceptionally strong local control over farmland enables consolidation—albeit in the ‘defensive’ interests of the local incumbents. The following study examines how the spread of transgenic crops in North America and a concomitant rise in Japanese consumer concern over food safety allows spaces for human interaction and agency to intervene in and restructure a commodity’s global flow. Challenging assumptions of the ‘global marketplace’ as necessarily distant, culturally detached, and impersonal, the descriptive analysis of the annual soy bean inspections that occur between Japanese buyers and small-scale Canadian producers illuminates the ways that ‘perceived risks’ surrounding transgenic soybean cultivation and distribution intensifies exchange at the local level. The discovery of the first BSE case in Japan in 2001 triggered far-reaching changes in the regulatory framework of food safety. This article focuses on three major institutional developments since that first mad cow, namely the establishment of the Food Safety Commission (2003), the Shokuiku or Food Education program (2005), and the Consumer Affairs Agency (2009). Through a focus on the concept of self-responsibility, the politicized role of science, and the Japanese rhetoric of anzen anshin (safety–peace of mind), this study analyses the political efforts in reinstalling consumer trust. Regulatory changes gradually initiated a risk analysis approach into Japan’s food safety governance, combining consumer education and consumer protection essentials. Focusing on educating the consumer about new roles and responsibilities, the reforms shift the accountability for food risk to the individual, thereby strongly and increasingly relying on the ambiguous concept of anzen anshin. However, I argue that issues such as independence, accountability, and fragmentation in food safety monitoring must be continuously addressed instead of hiding them behind a rhetoric of anzen anshin and calling upon the consumer’s self-responsibility.